Grape Escapes is the leading provider of wine tours to the premium wine regions in France, and our expertise in organising Champagne weekends is unrivaled. If you want to surpri se a loved one or simply enjoy some good Champagne and company, then you can do no better than to book onto one of Grape Escapes Champagne weekends. The range of Champagne weekends we offer is extensive – from our cost effective simply Champagne weekends to the exclusive deluxe Champagne weekends, we have something to suit all budgets. We are also experts in providing bespoke Champagne Weekends designed to meet your exact requirements. 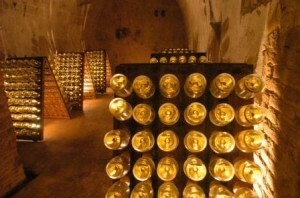 For a full list of all of our Champagne weekends, please click here, or please contact us for an individual itinerary. Champagne is seen as the drink of celebration, and we have provided bespoke Champagne Weekends for over 1000 groups, to celebrate many events such as birthdays, hen weekends or anniversaries. 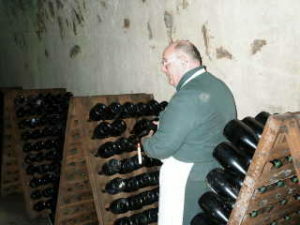 Have a look at our groups page to see some of the Champagne weekends we have organised for other groups. If you are looking for an unusual corporate activity, either for team building or incentives, our Champagne weekends offer an ideal solution. Our past customers of corporate incentives include a large supermarket chain, accountancy firms, telecommunications companies, and banks. To discuss your corporate requirements, please see our corporate events section.